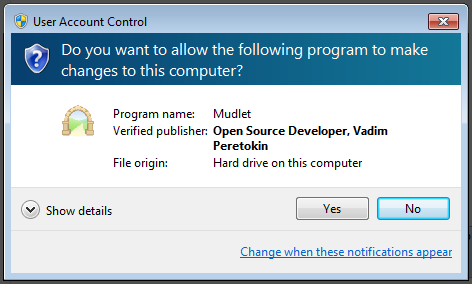 Mudlet 3.0.0 beta is here – this is the second preview of the upcoming 3.0 release! In this version, we only focused on fixing new issues have have been introduced in 3.0 – such that 3.0 is no worse, only better, than 2.1 quality-wise. It is also, of course, better feature-wise :). Please provide all feedback (don’t delay!) on our forums. Documentation is still in progress of being updated for all new features. Below is the summary of changes in preview #2. See preview #1 for a list of all the new things in 3.0! The artificial delays in the splashscreen have been removed, making Mudlet startup much faster. Enjoy! You can now toggle MSDP on/off in settings, like you can with GMCP. This is needed for MUDs which disable GMCP if they’re sending MSDP – which would break your GMCP scripts. The sendMSDP() function has been fixed to work – you can now do sendMSDP(“LIST”, “REPORTABLE_VARIABLES”) for example. Text has been getting cut off in miniconsoles, the most obvious effect of this being seen in tabbed chats like YATCO. This has now been fixed. Will 3.0 bring any improvement/functionality to Mudlet being able to display unicode output from MU*s? This is a problem in any MU* that uses those characters, pretty much every non-English MU*, any MU* in which another player types them to you for so reason, and especially in fantasy MU*s that use the characters for accent/flavor purposes. It also ruins a lot of text ‘art’ and framing for things like built in maps that MU*s tend to output. 3.0 won’t as we’re working only on fixing regressions that it has now and not adding any new features, but that is something we are working towards!